At the SaaS North conference in Ottawa—HQ to Canada’s largest e-commerce company, Shopify— this week, over 1,500 attendees and 500 companies learned and discussed scaling up SaaS businesses. L-SPARK, an Ottawa-based SaaS accelerator in Canada, and Cube Business Media co-host the conference each year, bringing together stakeholders from the tech ecosystem at the Shaw Centre to push the envelope on what Canadian businesses can accomplish. Leo Lax, executive managing director of L-SPARK and co-founder of SaaS North, kicked off the event with an overview of the conference and an encouraging note of the progress in the tech ecosystem. “The Canadian cloud economy contributes to $4.6 billion annually to Canadian GDP and by 2018, this will grow to $8.2 billion,” Lax said, citing ICTC data. 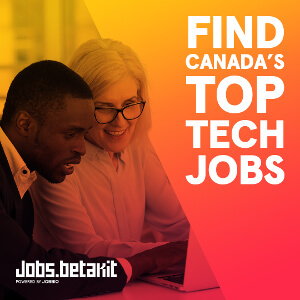 Canada’s tech scene is booming…big time. Although Toronto lost the bid for Amazon’s HQ2, Canada is still top of mind for the large tech giants, like Microsoft, which plans on hiring 500 new employees as part of a $570 million expansion (with a new HQ in Toronto). 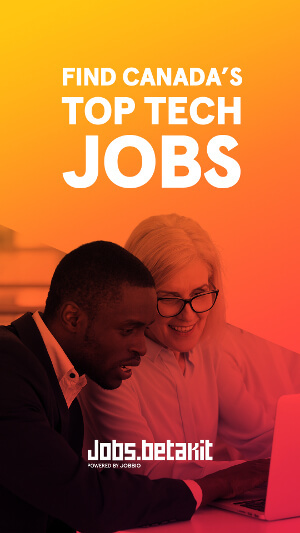 It’s nice to know Canada has become a serious player in the global tech community, but it’s even more exciting to see how much support has gone to small-medium size businesses. In fact, the majority of the deals made this year were in the $1 million to $10 milion range, with positive growth in Series A financing, according to L-SPARK’s State of SaaS report. 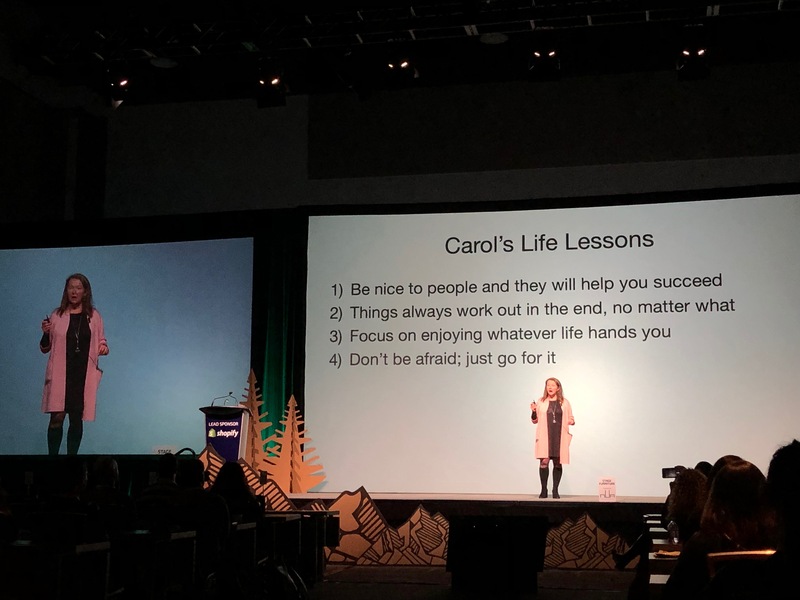 With that in mind, here are some takeaways that every founder can learn from the SaaS North conference. SaaS North included an appearance from Ceridian, the human resources software company known for being the largest tech IPO in Canada. Cerdian’s chairman and CEO, David Ossip, has had five career exits, and knows a thing or two about how to build a billion-dollar company. Find the largest problems you can tackle and figure out how to solve them elegantly at scale. To build anything meaningful, companies need a brand promise – a way to convey to the marketplace why people should care about the business and what it offers. Companies should leverage any support available to them in the country they reside — and in Canada, there is a healthy access to capital, tech resources, and the benefit of being next to the largest homogenous market in the world. Start with basic functionality, build a strong user base, and get the right feedback to know what features to prioritize/implement next. Don’t be afraid to look for strategic partnerships, which allows startups to disrupt the market more quickly. Entrepreneurs should focus on what they do best and cut out the parts that are dragging you down. Patrick Campbell, co-founder and CEO of ProfitWell—which provides industry standard business intelligence solutions—spoke about the change that’s happening in the subscription world, specifically in SaaS. “Podcasts, books, big conferences, social media, and influencers can tell you all you need to know about how to grow your business, but in most cases, people are consuming all this content and not doing anything with it,” he said. Here’s the million-dollar question: how many people have actually implemented a tactic from a recent piece of content they digested? Well, Campbell and his team actually have some research on this: they interviewed 50,000 people who work in growth roles in tech and found that only 1/10 have actually implemented something. Markets don’t care about a company’s roadmap. Today, companies have to deal with 12 to 13 competitors, on average, in their first year of business. Customer Acquisition Costs (CAC) were 70 percent less five years ago. SaaS businesses, on average, have a 57 percent median spend on acquisition-based activity. Companies that talk to customers and collect feedback tend to experience a higher growth rate. Customers expect more, and the average velocity of moving features is less than two years. Going from monthly to annual contracts greatly reduces churn – when making the switch, it’s better to provide customers one or two months for free versus applying a percentage discount (customers can relate to it better). Moral of the above points: talk to customers. A lot of people say it, but few do it. Go back to the business, create a goal for how many customers to talk to, and most importantly, do it. Every company experiencing growth will eventually have to deal with the reality of the hardships that come with it. Often, when junior people in their career start a business and realize positive growth, they suddenly have to handle and deal with more pressure and responsibility. 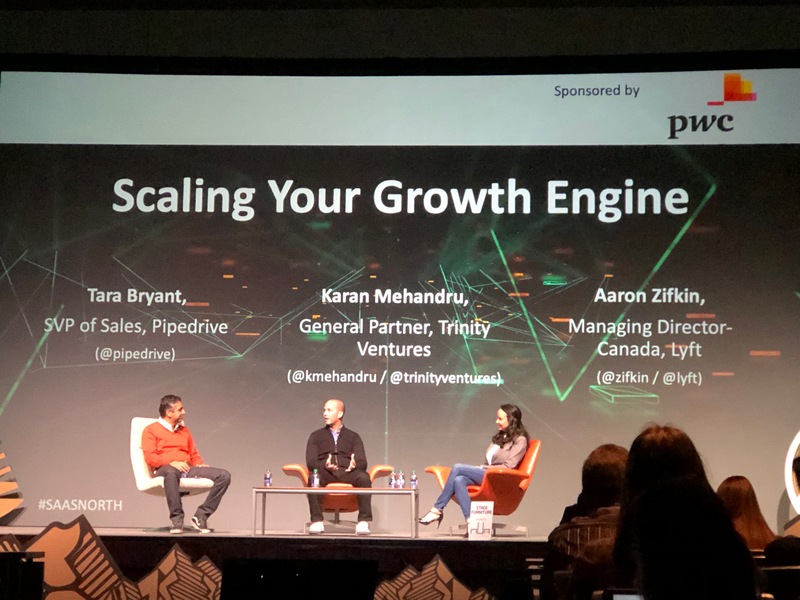 In a talk titled Scaling Your Growth Engine, the panelists recommend having at least 80 percent of a team consisting of people who know what they’re doing in the market companies are targeting. The Scaling Your Growth Engine panel. Michael Litt, CEO and co-founder of Vidyard, started the company in 2011. For Litt, being a part of the hiring process is still crucial – in fact, he is still involved at the very last stage of all interviews for any role. One of the difficult things to get over is that once companies grow to a certain size, it’s much more difficult for the founding team to know everyone well by name. At the same time, the people who join will have different expectations depending on the size. Those who join in the early days will expect less, and those who join at a later-stage will expect a swag bag, new laptop, and a much more polished hiring process. Leaman knew, even as a teenager, that her path was destined to build, grow, and lead companies. So she did. 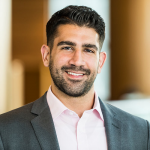 Leaman’s first career out of university was with KPMG. She studied accounting for the wrong reasons and continued on to complete her CA designation – technical knowledge she now highly appreciates which go a long way in helping her in running businesses from a finance-front. Leaman went on to lead three companies, which all had their own exits: Fakespace Systems (Mechdyne Corporation), RSS Solutions (Visiprise), and PostRank (Google). Pay attention to the market size. Understand and define it clearly, and know how much of it to capture. Be resourceful and always find a way: When Leaman worked at Fakespace, she had to take a $70,000 personal line of credit to cover payroll. Sometimes, you have to do whatever it takes to stay afloat and get over the hump. It’s always the right time to follow your heart and pursue your dreams. At 42 years old, with accumulated debt, and being newly divorced – Leaman knew that this small setback was a setup for a comeback. She immediately started mapping out plans for a new business. Her friends thought she was crazy. To end, think of this: “why not you?” Leaman has the belief that if someone out there can do it, then anyone can. You just need the fortitude, desire to win, and the element of being a risk taker – that’s the real makeup of any successful entrepreneur.